We received a bunch of pictures from our Buenos Aires traveling companions today. I had totally forgotten about this one but now remember that it was my favorite. How could I forget? And in other good news: a new Stereolab song! From their forthcoming album Chemical Chords on Duophonic UHF Discs/4AD. Looks like it will be released sometime mid-August in the Animal Kingdom. A funny picture and a new, cool song. What a day! The Groop's website. The Groop at 4AD. More William Stafford. A video poem! Probably not too many of those around. Honestly this video scares me. The grainy film; the pale lighting. It reminds me of being a child circa 1975 or so and watching a Saturday afternoon movie that was strange and frightening and entirely over my head. A movie that's not quite suitable for Saturday afternoon viewing--not exactly a horror film but far from a cartoon. In fact, it's about the perfect video to watch over and over again as I wait out the flu on this cold and very gray Santiago weekend. birds tread it wherever it goes. tugs an end of the line. the line gives only a hum. will lovingly touch his face. "Hello, is Mother at home?" No one is home today. "But Father-he should be there." No one-no one is here. "But you-are you the one...?" no space, no birds, no farm. pacing toward what I know. It's been a long time coming but I finally tracked down and purchased the small collection of William Stafford poems titled Things That Happen Where There Aren't Any People that contains my favorite poem of the same name. I first came across this poem in an undergraduate English class at the University of Utah sometime either 1989 or 1990. While I haven't been on a constant search for it the words burrowed themselves into my memory and have remained a significant source of inspiration ever since. I don't know exactly when the poem was first published but the book includes poems that range in date from 1959 to 1980. William Stafford was born in Hutchinson, Kansas in 1914 and died at his home in Lake Oswego, Oregon in 1993. In 1941 he was drafted into the United States Army but, as a registered pacifist, was sent to work on domestic projects with other conscientious objectors. He spent from 1942 to 1946 in work camps in the forests of Arkansas, Illinois, and California fighting wildfires, as a soil conservationist, and on various trail crews. Stafford's 1947 master's thesis was a collection of memoirs about his time spent as a conscientious objector titled Down In My Heart. In 1948 he accepted a teaching position at Lewis and Clark College in Portland, Oregon where he remained until retirement. His most famous poem, Traveling Through Dark, won him the National Book Award in 1963. He was forty-eight years old. Though he started publishing his poems only later in his life he was quite prolific and compiled some fifty-seven volumes of poetry. I'm no poet and I'm certainly not going to try to interpret it as I did some seventeen or eighteen years ago. Instead, I'll simply post the poem so that if, by chance, some other wanderer finds him- or herself searching for something that gives their life meaning here, at least, is one possibility. or the slow arrival of deep dark. waiting to be mentioned for thousands of years. because it is far, because there aren't any people. And to add to the vast, beautiful, but stark landscapes created by William Stafford here is a piece of music perfect for an accompaniment while reading the poem. Mick Turner is a painter and one half of The Tren Brothers, who (including drummer Jim White) are exactly two thirds of the Dirty Three. Most of the music that floats out of any combination of these three people is poem worthy. This track is taken from the recent Mick Turner/Tren Brothers compilation Blue Trees. Listen to it while reading along for a sublime experience. Most of the run anyway. Well, at least the first twenty minutes of my run. Still. That's saying quite a bit. I seem to operate on the hot side of the temperature gauge so cold mornings feel much, much better to me. As does an open window at night for most of the year. And a fan. It's been cloudy all day. And that's sayin' something. As far as I can tell there are two seasons here in Chile's Central Zone: a long, tiresome summer, and a short but intense winter. There are bits of change on the outskirts of those seasons--like today--that signify a slow turn of events. Otherwise the summer is like a giant ocean swell that starts somewhere on the other side of Guam. It moves, slowly, for several months maintaining about the same speed and shape. It crests just this side of Hawaii without anyone ever really noticing until it finally hits the beach as a tired, old ripple. Day to day there is little variation: cool (thankfully) in the morning and evening and quite warm most of the day. No clouds. Little wind. Dry. A day like today says it'll soon be over. Then we'll move into winter. Same bright sunny days, only cooler. And then it will happen. A good two- or three-day storm will dump upwards of two meters (about 6.5 feet) of snow in the mountains. And that's how it all starts. From there the next three to four months will follow about the same way: bright, sunny days for a couple weeks on end followed by a 2-3 day storm fury. Then bright, sunny days again. Of course that's mountain weather. Down here in Santiago the sludge is already building. The thick, gray paste that some refer to as "air" and that we will be forced to breathe for the next few months will linger. This will blow briefly away when the said furies kick up a little wind with their arrivals and departures. It is a struggle. The mountains and all the white stuff make a nice air filter, though. Support the troops! Buy their stuff! They make our lives immeasurably more interesting! To be confused with the horsemen on the other side of the Andes, the Chilean gaucho is, essentially, the same person. International borders may mean something to someone but the gauchos cross boundaries with the same ease (albeit sometimes across precarious mountain passes) as crossing a threshold into another bedroom. The geographical area known as Patagonia--whose somewhat arbitrary frontiers are also open to debate--is the native home of the gaucho, an area that occupies nearly a third of the total landmass of the two countries that employ the word. In effect, the gaucho is a resident of a region rather than a country, a region defined by the featureless steppes (pampas) on the east side, to the lakes and high peaks of the Andean cordillera, and the fjords and impenetrable forests of the western side. The gaucho knows it all and the intimate knowledge of the landscape is reflected in everyday expressions and traditions. Though more commonly associated with the cowboys of the South American grasslands in Argentina and Uruguay, guacho is, in fact, the correct term for the Southern Chilean cowboy as well. Huaso is the term of choice but the name is more correctly tied to the noble horseman of the Central Zone (the valleys surrounding Santiago) than the working class laborer of Patagonia. In terms of expressive culture and folklife, there are few similarities. An equivalent might be the Mexican vaquero and charro. The charro, a descendant of the Spanish province of Salamanca came to the new land with the first conquerors. The charros were known as excellent horsemen and many were hired by the new Mexican government to patrol vast stretches of the northern deserts. The vaquero, then, was the product of an expanding cattle industry that pushed as far north as present day Montana. Though equally skilled, the vaquero's ancestry was often a mixture of Spanish and indigenous Indian blood. As the industry expanded, the distinction between the two grew as well. One worked with the livestock, the other owned the livestock. 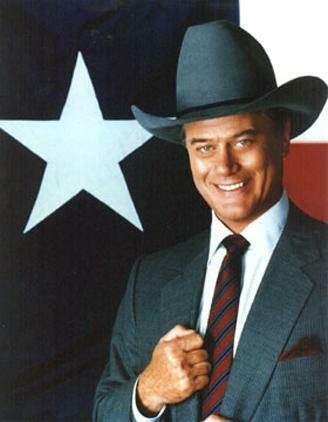 In other words, more ranch hand, less J.R. Ewing. And so it goes in Chile, too, that you're likely to recognize the well-dressed weekend huaso who participates in the highly formal and stylized rodeos of the September 18th, Independence Day celebrations as the same businessman driving his Audi downtown Santiago the following Monday morning. The toy saddle dangling from the rear view mirror within the car may help you distinguish him; and the countryside disappearing from sight of the rear view mirror may hint at the social position of the Chilean huaso. But it's different in Patagonia. Most gauchos don't have the option of returning to the city for the work week to make their real living. Gauchos are gauchos and if they're not gauchos they're arrieros who make a living packing animals and transporting goods. In either case, they live their lives on the backs of beasts. Their lives are a reflection of their work and their work reflects their lives. Everything is an amalgamation of their mixed ancestry, the varied topography, and the demands of the weather. Then there is mate but perhaps that's better left to another entry. Argentino o chileno, no importa. Es todo lo mismo. It is not an unusual life-curve for Westerners--to live in and be shaped by the bigness, sparseness, space, clarity, and hopefulness of the West, to go away for study and enlargement and the perspective that distance and dissatisfaction can give, and then to return to what pleases the sight and enlists the loyalty and demands the commitment. --Wallace Stegner, "Finding the Place: A Migrant Childhood"
Unless otherwise noted, all words and images are mine. Please don't use them without asking first. Mp3s are available for your listening pleasure for about a month or so. After they are removed I suggest supporting those people who give us pleasure by buying their albums. I should have stayed with dear brother at home. We grew up old.